4 day Medley, Different poses each day for 2 hours each day. 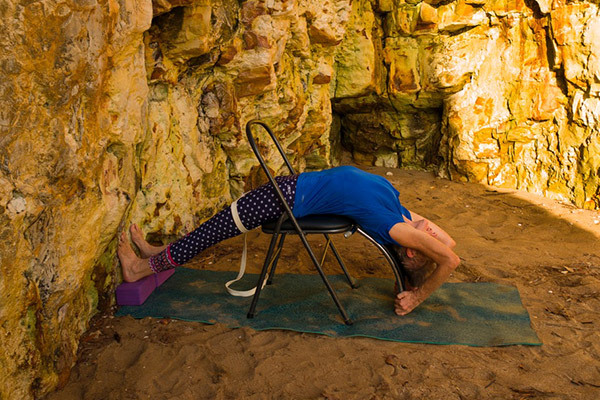 In this Easter Workshop – “Four Day Medley” Chris & Richard will introduce you to a whole range of new ways of exploring different groups of asana. You will learn how to work with Ropes in the Friday session. Rope work is exciting and fun. On Saturday you will get to practice a more Restorative Sequence aimed at chest opening and shifting dull and negative thoughts. On the Sunday you will be led through a Forward Bend Sequence that will lead you into Pranayama. On the Monday you will get a chance to combine rope work with further chest opening that will take you into backbends. It will be suitable for Transition level and above. As always modifications will be given to those who need them. A 10% discount is available for people who pay for classes by direct debit.